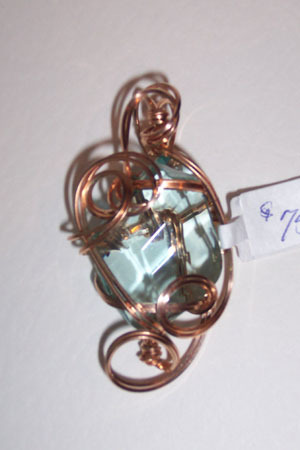 Faceted aquamarine colored glass unusual diamond shape. Sculpted in 14kt rose gold. Measures 2.25"x1".